It’s the Skywalk on the 100th floor of the World Financial Center. After viewing it I wanted my money back, all $25 of it. This wasn’t a view, it was a statement about the pollution of Shanghai. I felt like what I wanted was a view. The kind o view I got when I look out from Eagles Nest, NM and am able to see Sandia Peak, NM, a iew that’s about 120 miles. This view has a visibility of about one mile. I understand people can’t control the weather, but I think this was more than weather. My whole time in China, I think I got to see the sun maybe 10% of the time. This entry was posted in Travel and tagged China, Shanghai, Xian on October 16, 2010 by Steve. 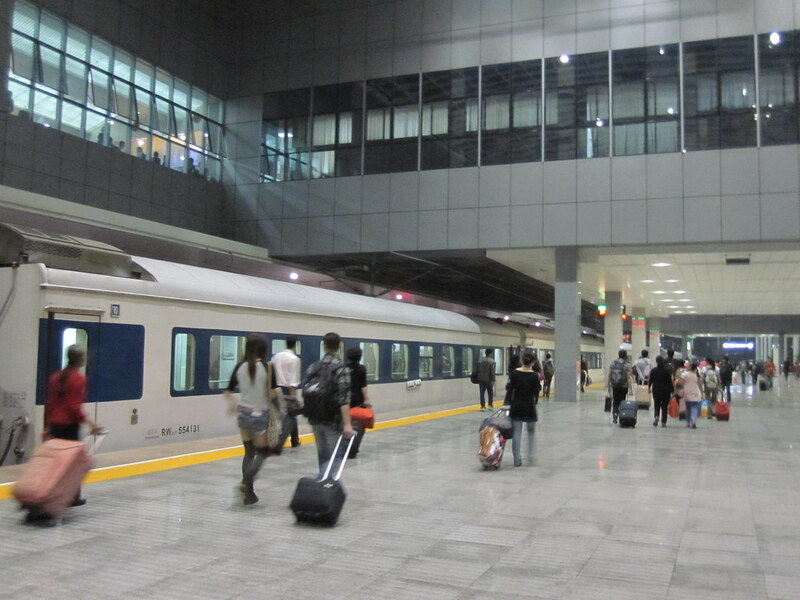 I caught the overnight train from Shanghai, China to Xian, China. It cost me about $70 and saved me about $15 in overnight hostel charges. Once again, I had a Chinese person who was also occupying the four bed sleeper room who spoke English. It took about 14 hours to get to Xian. This entry was posted in Travel and tagged China, Shanghai, Train, Xian on October 6, 2010 by Steve. 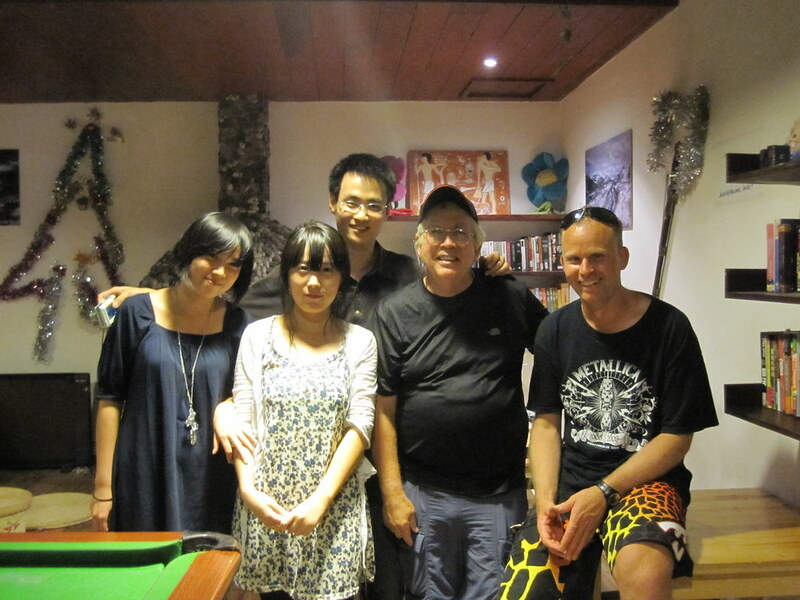 You know you’ve been in a place way-too-long when the hostel staff want to take pictures with you before you go. The two young ladies worked in the hostel. The Chinese guy behind me is Tiger, one of my roommates at the hostel. Tiger lives in Beijing and I plan to visit him there when I go back to catch the plane to the states. The guy on my left is Christof, a Swede who travels the world in search of wonderful spots to scuba dive. This entry was posted in Travel and tagged Beijing, Hostel, Shanghai on October 5, 2010 by Steve. It’s the train station in Shanghai. The day before I left I made a trial run to the station to make sure I wouldn’t get there and mess up the train connection. It’s confusing enough to catch a train in China without having a clue what’s going on. This entry was posted in Travel and tagged China, Shanghai, Train on October 5, 2010 by Steve. 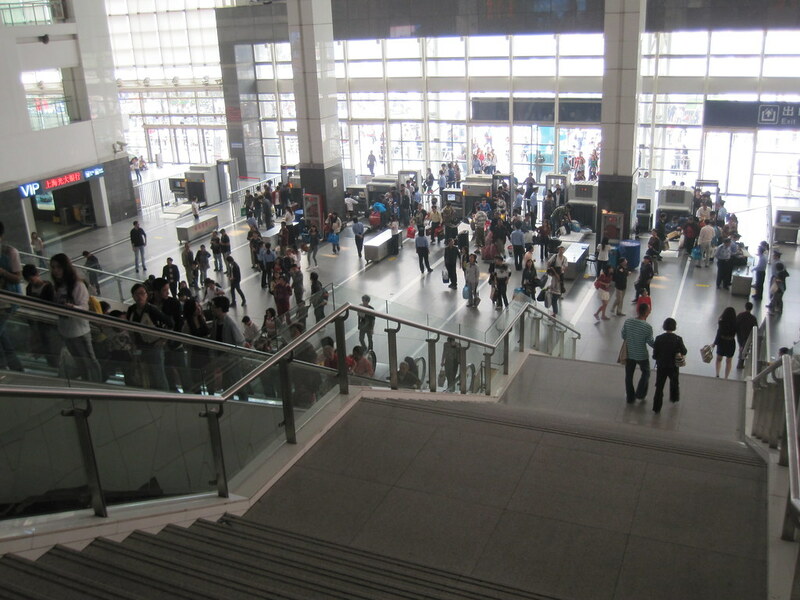 I must admit that the whole observation thing at the World Financial Center in Shanghai was first class. Too bad the view was virtually worthless. 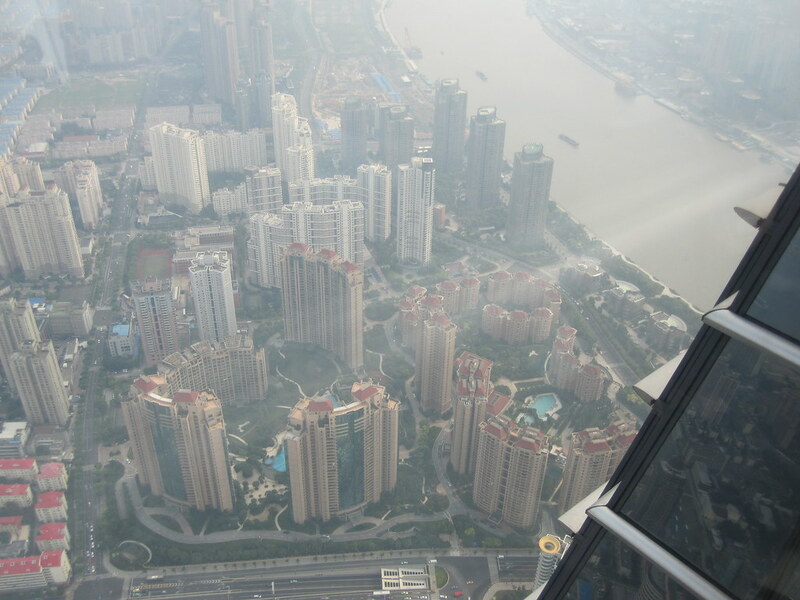 This entry was posted in Travel and tagged Shanghai on October 5, 2010 by Steve. 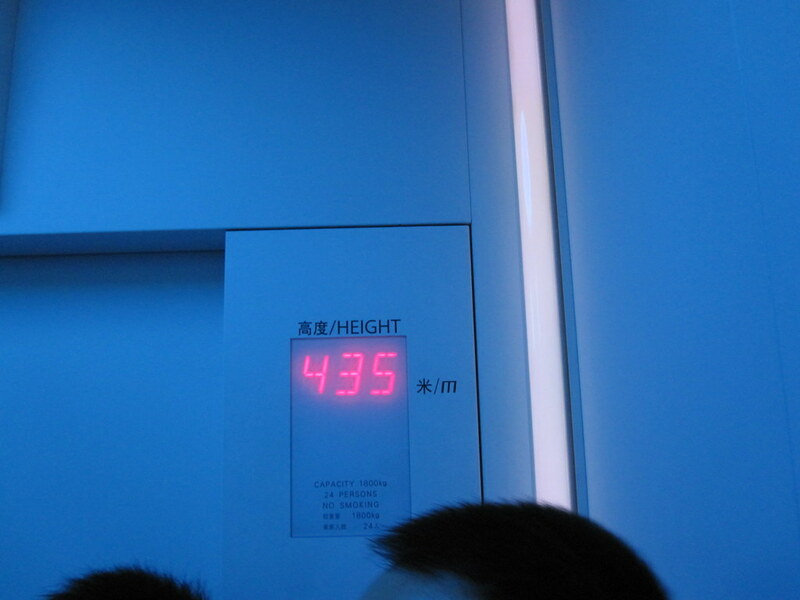 This is the sign in the elevator in the World Financial Center in Shanghai, China. 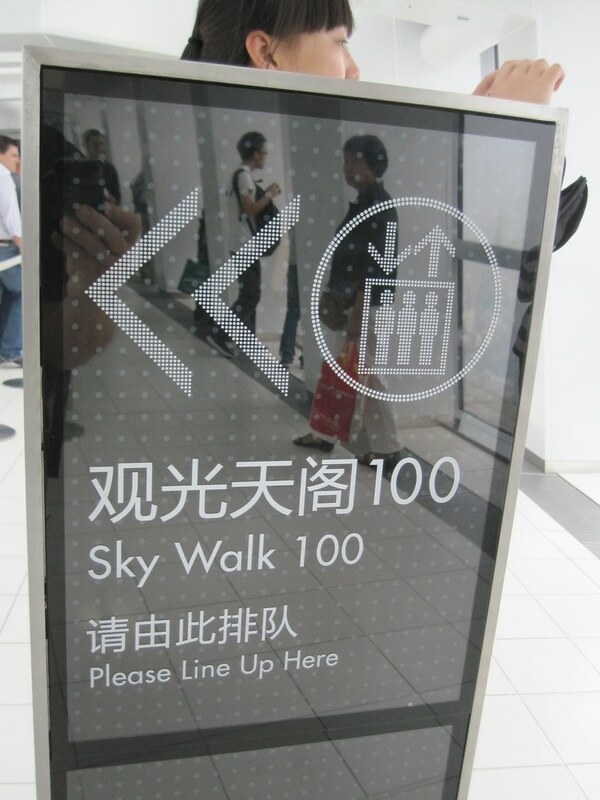 I’m taking a ride to the 100th floor observation platform which is supposed to be the world’s highest observatory. Maybe it is, maybe it isn’t. I know it’s high up there and I paid $25 for a really bad view of Shanghai due to the haze that covered the city on the day I was in the tower to get a good view of the city. Had I known how disappointing the view would be I wouldn’t have gone up. Then again, how often does a person have a chance to go to the highest public observation point from a building in the world? This entry was posted in Travel and tagged China, Shanghai on October 5, 2010 by Steve. 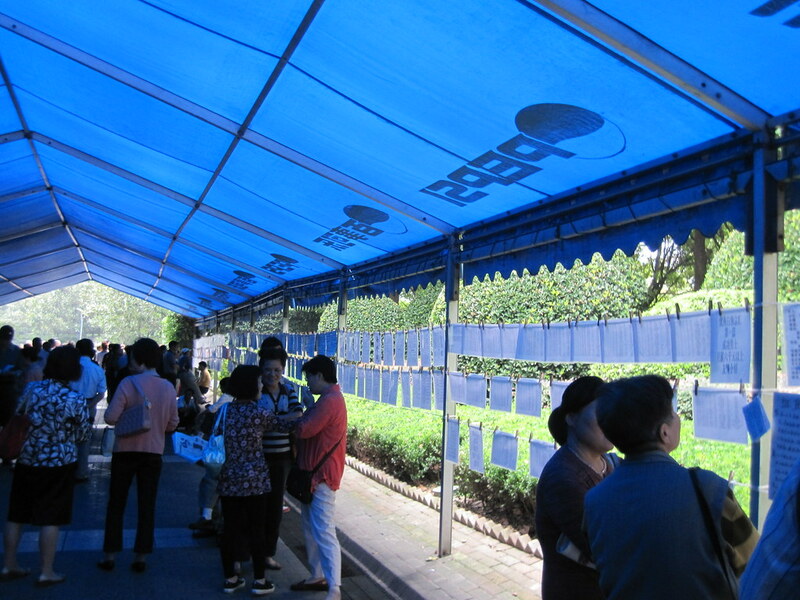 Me and a friend were walking around the green space at People’s Square in Shanghai, China and we saw all these pieces of paper hanging on lines, sortof like socks. I couldn’t figure out what they were. So, I asked someone who told me that they were resumes of women who were looking for men. I thought that was really interesting. It was like an internet dating service, only a little more local. Internet dating services are probably banned in China. This entry was posted in Travel and tagged China, Shanghai on October 2, 2010 by Steve. 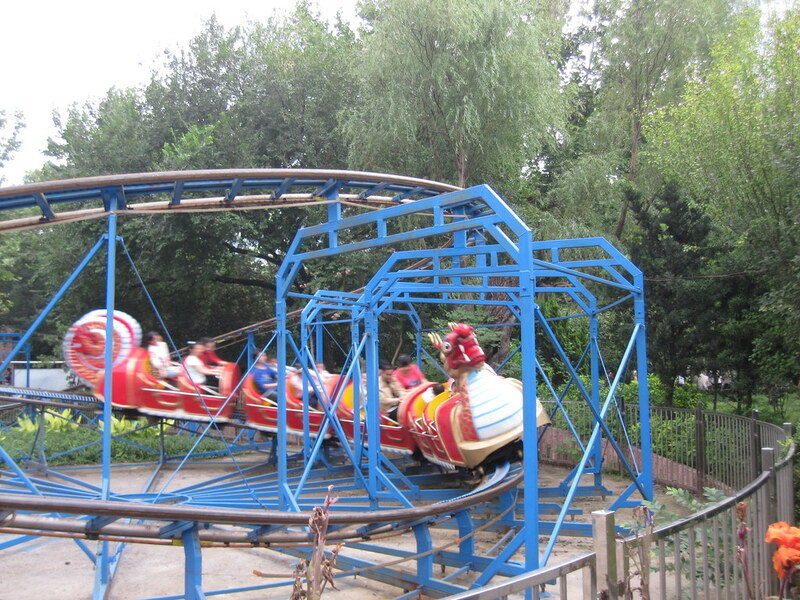 In the green space at People’s Square in Shanghai, China they have rides for adults and children. It’s a little amusement park. It’s really not very big, but the rides were only $1 or $2. They children were having a great time. I don’t usually worry about where I eat. I just grab something from somewhere. When I’m on the road, street food is my favorite. But I broke down and went to the Nanxiang Steamed Bun Restaurant to try their dumplings. 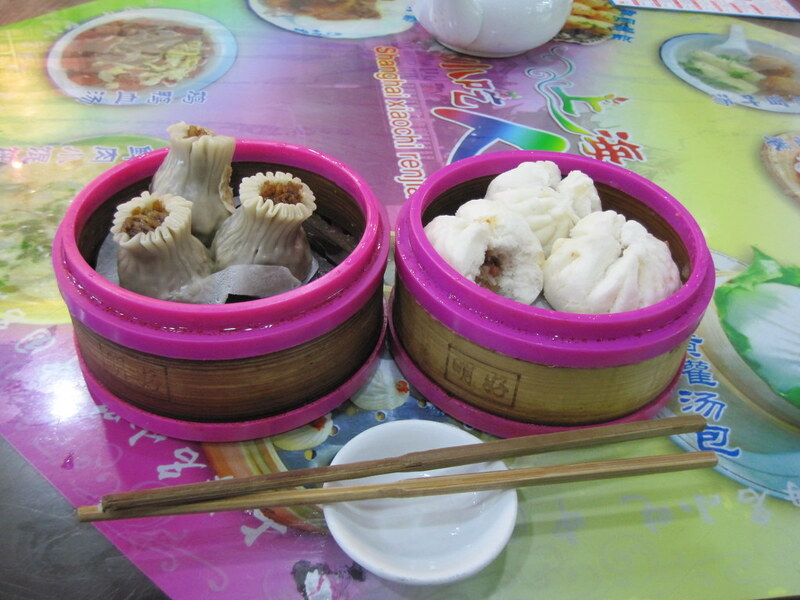 It is said they are the absolute best steamed bund dumplings in Shanghai. The line at the place is ridiculous. I just found myself with a little time and thought "what the heck…" and I tried their dumplings. Were they better than the ones I get on the street? Absolutely. It wasn’t even close. 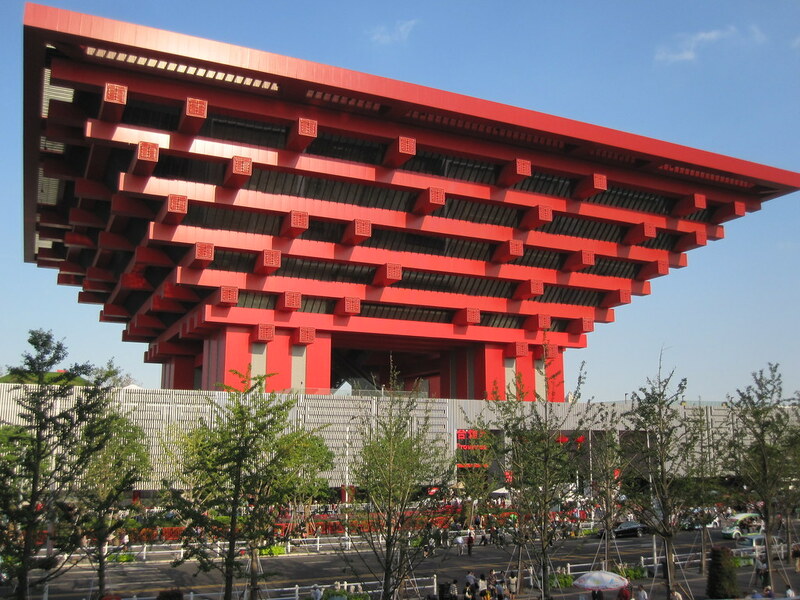 This entry was posted in Travel and tagged Shanghai on October 2, 2010 by Steve. This entry was posted in Travel and tagged China, My Favorites, Shanghai on October 2, 2010 by Steve.